The experience of art is, above all, a source of much enjoyment and fulfilment that can add enormously to the richness of children’s lives and experience. We encourage children to extend their energy and abilities beyond the formal curriculum. 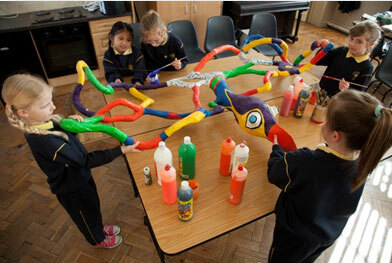 The children engage enthusiastically in a broad range of artistic, musical and dramatic activities. Children work with a range of stimulating materials and tools in a variety of colours and textures to produce the wonderful displays which can be seen in classrooms and corridors throughout the school. There is a great tradition of music education in the school. 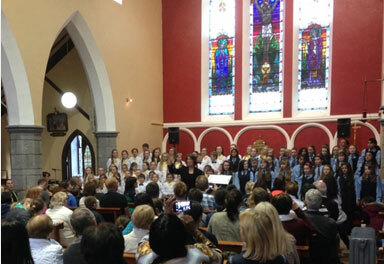 Our school choir and school band perform at various events throughout the school year. 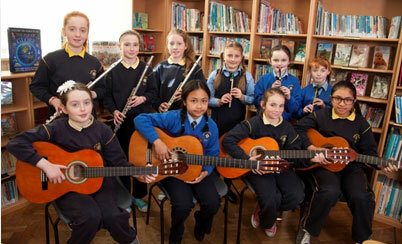 Our senior classes learn to play the tin whistle, while guitar lessons and flute lessons are organised after school. We produced a CD in 2010, “Little Stars”, which showcases the variety of musical talent in the school. 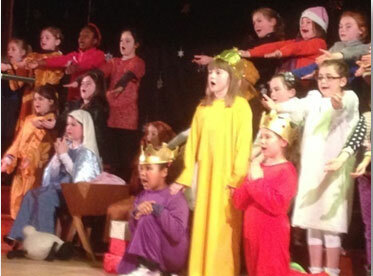 Drama, as part of the general curriculum, provides children with a wide range of valuable learning experiences. Our annual concert provides an opportunity for children to perform on stage to a large audience. In addition, Speech & Drama lessons are organised as an extra-curricular activity after school.